When you're writing an essay, it's helpful to follow a process of 10 steps, starting with selecting your topic and ending with having someone else proofread the essay. While it may seem long, it's a process that will result in the best essay possible. The first step in essay writing is to select a topic. Before you can start the writing process, you must first start with at least a general idea of what you are going to write about and then narrow it down to be clearly defined and very specific. Although acceptable topics depend on the type of essay you're writing and your assignment requirements, it's most helpful to find a topic that you're knowledgeable about and that interests you. Once you choose a topic, you'll need to think about the point you want to make with your essay. This information should be used to create a thesis statement. This statement should be one or two sentences long, be included in your introduction, and should assert what the reader can expect to learn about from reading the essay. It should be a narrow statement that includes an overview of the topic and clearly states your argument or position. The level of detail required in the thesis statement is enough information to clarify your position on your chosen topic. Because the death penalty can lead to the execution of an innocent person, the United States should ban the practice. A child can be a victim of divorce as much as the parents are because of divorce's long-lasting effects on the child's emotional stability and personality. Paid vacation should be mandatory in the United States because it actually improves worker productivity. Vaccination should be mandatory for children because it helps prevent children from acquiring some dangerous diseases and also decreases the risk for others in the community. These statements are effective because they clearly show their claims, and they also sufficiently introduce the topic. After completing your thesis statement, the next step is to create an outline of the essay's content to help you with planning. To create an outline, you should first come up with major heading for topic areas that support your thesis statement; these will be your outline's main points. Roman numerals are commonly used to label the main points on the outline. Beneath the main points will be the subpoints, which are the key ideas that correspond to each of your main points and are usually labeled as capital letters on the outline. For example, subpoints for a main point on the arguments against something might include the specific arguments themselves. Beneath these subpoints it's possible to have sub-subpoints, which focus on ideas related to the subpoints and are labeled with numerals. When your outline is ready, you can use that information as the basis to begin writing. You can turn each heading into a paragraph, writing complete sentences about each of the subpoints to illustrate the point or idea that you are trying to convey. 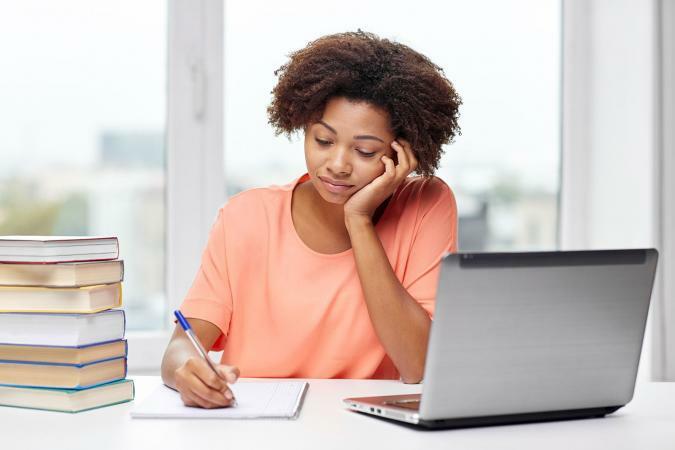 However, before you begin actually writing your paragraphs to develop your essay's body, it's important to learn how the essay should be organized and how to write paragraphs that are unified, coherent, and organized. Before you begin writing your essay's body, it's important to plan how you'll organize your essay's paragraphs. There are numerous ways to organize an essay, and the type of essay you're writing will determine some optimal structures. Below is a list of some common types of essays and how they may be organized. Narrative essay: When writing an essay that discusses an event or story, it's helpful to organize your paragraphs in a chronological order, which is the order in which the events occur. Descriptive essay: When describing something, you may consider moving from one part of the item to another, using a new paragraph each time you discuss another part of it. For example, if you were describing a house, you may first describe its exterior and then move on to describe different rooms inside, using separate paragraphs for each room. Persuasive essay: When the purpose of your essay is to persuade the reader to take a certain position, you may organize your body to begin with a paragraph for the most persuasive evidence you use to back up your claim and then address the less persuasive ones in the following paragraphs. If you're discussing the pros and cons of something, you may use a structure in which you give one pro in a paragraph and immediately follow it with a paragraph with a counterargument. Each paragraph should start with a topic sentence, which is a statement that introduces the main point the paragraph is going to make. For example, if you were writing an essay about the pros and cons of something, your topic sentence might state the specific pro or con to be discussed. Most importantly, the topic sentence needs to focus only on one idea and be as specific as possible. For example, if you're writing about pros and cons, using a topic sentence that just says that there's a pro to something in general is not specific enough to be effective. Likewise, naming several pros in the topic sentence wouldn't be optimal either. After you write your topic sentence, you should then provide supporting details for that claim. For the previous example, you might include some statistics, research, or examples to back up the pro or con being addressed in the topic sentence. Some other supporting details might include an analysis, an anecdote, an illustration, definitions and descriptions. As you include the supporting details, it's important to make sure that each sentence relates to the topic sentence, is supported with citations when necessary, flows smoothly, and is logically arranged. Your paragraph should have a closing sentence that wraps up what was discussed. It may also prepare readers for what you'll discuss next by briefly introducing that topic in the perspective of what was just discussed. Once the body of your essay is complete, you will be able to write the concluding paragraph. A good conclusion should restate your thesis, sum up the main points presented in the document (pointing out how they lend support to the thesis statement), and leave the reader with closure. Although the length does vary based on how many supporting points you have, it's common for a conclusion to be between five and seven sentences long, with the first sentence restating the thesis, the middle sentences summing up the main points, and the last sentence giving the reader closure. The conclusion should have enough details that readers are reminded what your main point is about and the main reasons you hold your position. In addition, you should leave readers with your overall impression on the topic at the end of the paragraph, and you may also give a probing question for readers to think about. Both of these will provide the closure that the conclusion paragraph is intended to do. The introduction goes at the beginning of the essay, but should not be written until the document is complete. This is because the introduction should provide readers with an overview of the essay's content and state your thesis. It's not possible to write an effective introduction until the complete first draft has been finished. Use a hook at the beginning to capture the reader's attention by asking a probing question, using an interesting quote, including a personal anecdote related to the topic, describing a scene, giving an interesting fact, or including a relevant statistic. Include some appropriate background information to introduce the topic for the reader and to prepare them for your thesis. Finally, insert your thesis statement. Although your thesis statement doesn't have to go at the end of the introduction, it is common to place it there as it helps the reader transition better from the introduction to the body. When you have a complete first draft, read back over the entire document. Reflect on what you have written, thinking about whether or not it reads well and conveys the point that you intended. Make tweaks as necessary and continue to review as needed. Once you are satisfied with the flow and structure of the essay, it's time to edit for content. Scrutinize the facts that you have included to be certain that the information is accurate, complete, and comprehensive. Look for any claims that don't have sufficient data to back them up and then do any additional research necessary to support the claim better. Verify any statistics you have included and ensure that all sources used are properly cited. When checking your citations, be sure to adhere to the style guide required by your professor, such as APA, MLA, or Turabian. Proofread the essay again, this time looking carefully for spelling errors and grammatical mistakes, and making corrections as you come across them. 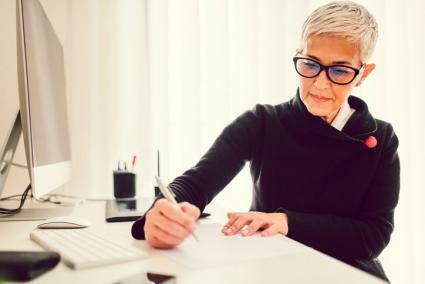 In addition to proofreading yourself, it's helpful to use your word processor's spelling and grammar checking tool, which can point out grammar and spelling errors you may have missed. If you want a more thorough tool for checking your essay's grammar and structure, you may want to consider an online service like Grammarly, which not only shows suggested corrections but also provides grammar tips and recommends ways to make your essay's vocabulary richer. No matter how thoroughly you have reviewed your essay, it's always best to have someone else do the final proof of your work. It's often easier for a fresh set of eyes to find errors that need to be corrected, simply because the writer is so familiar with the work and knows what the document is supposed to say. Follow these steps to be much better prepared the next time you are at the beginning of a writing assignment. Follow the ten steps outlined here in order and you'll find that the writing process doesn't have to be stressful. It just might turn out to be fun!